This project is being done on two computers with a $10,000 (USD) budget. 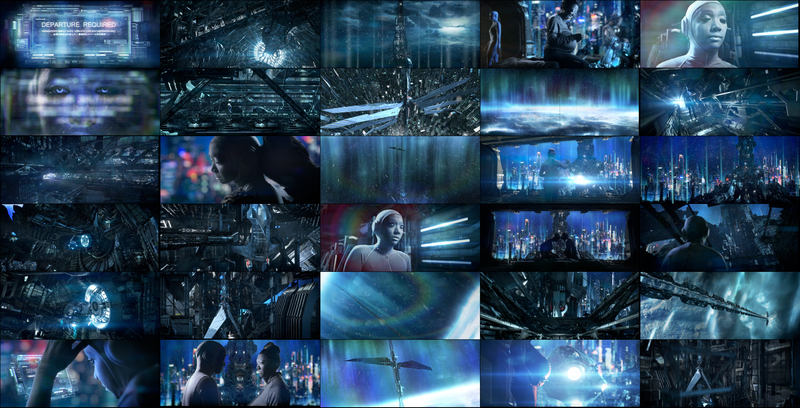 With around 45 shots making up the entire length of the film. Which is basically no budget at all. For those outside the technical areas of the film industry, on large budget summer blockbuster movies, a single visual effects shot can cost between $30,000 (USD) to $1,000,000 (USD). Many averaging $200,000/$300,000 (USD) for A SINGLE SHOT which artists spend weeks or months working on and then goes by in about 2 or 3 seconds in the edit. For our zero budget version of this, one of our machines is a iMac and the other a desktop PC. The PC has been a single machine render farm generating the 3D imagery (modeling, previsualization, animation, texturing/shading/lighting/rendering) for the past year-and-a-half and all the final 2D work (editing, matte painting, compositing, color grading) happens on the Mac.